The most important thing a person can do after being charged with a DUI is to call an attorney. Regardless of whether this is your first DUI or you have had prior arrests, your best defense depends on hiring an attorney right away who knows how to fight DUI charges in Illinois. Having an attorney on your side from the start enables you to take proactive steps that will be critical to your defense. At John W. Callahan, Ltd. we know how beat DUI charges because we do it every day. But timing is critical. You should talk to an attorney the day of your arrest or the day after. Call now to talk to an attorney at 877-335-6697 or complete our contact form online. A number of factors will influence your DUI case, including the attorney you hire, whether you have any prior DUI arrests and whether any aggravating circumstances were present. First DUI — Even if you have never been arrested for DUI before, an initial DUI charge can still have lasting consequences. Make sure you understand what is at stake. Repeat DUI — Subsequent DUI charges carry stiffer penalties. Illinois takes multiple DUI charges seriously. Aggravated DUI/Felony — Elevated blood alcohol concentrations (BAC), prior DUIs and other factors can elevate a DUI charge to an aggravated DUI or felony DUI charge. 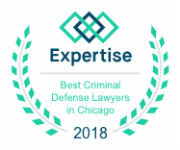 With every DUI case, our lawyers use our extensive experience and knowledge of Illinois DUI procedures to identify opportunities to have the charges against you dismissed. When dismissal is not an option, we focus on how we can avoid conviction. There are several alternatives to a DUI conviction that may be more desirable. Get help for your DUI charge. Start building your defense today. Call our lawyers at 877-335-6697. We are available 24-7. We have offices in Schaumburg and throughout the greater Chicago area to serve you better. 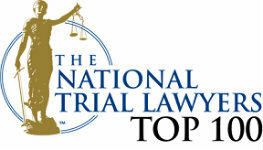 You can also reach our firm online.